Sport und Lifestyle Fotografie von Scott Redinger, werbefotograf in Köln, Koeln, Cologne, Düsseldorf, Duesseldorf, NRW, Deutschland, Germany and Miami. Commercial, catalog photography for Sun Bicycles. Photographer, Scott Redinger-Libolt. 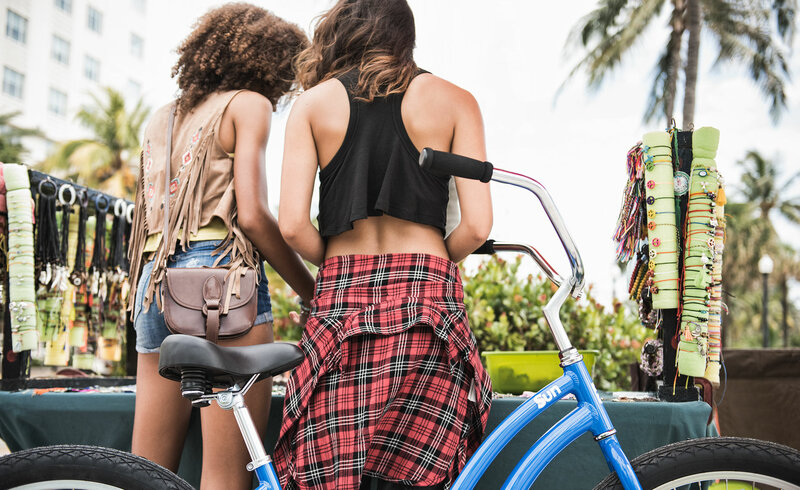 Models, Maya Tuffin (Next) and Dani Silva (Talent Direct) riding Sun Revolutions beach cruisers on Ocean Drive in South Beach, Miami Beach, Florida.